We live in times where the online presence of your company could determine the success of your business– and it’s perhaps healthy to remind yourself every once in a while that failure and success are two sides of the same coin. Online and social media advertizing are the key to a successful online presence and by now this is not news– it’s a fact. 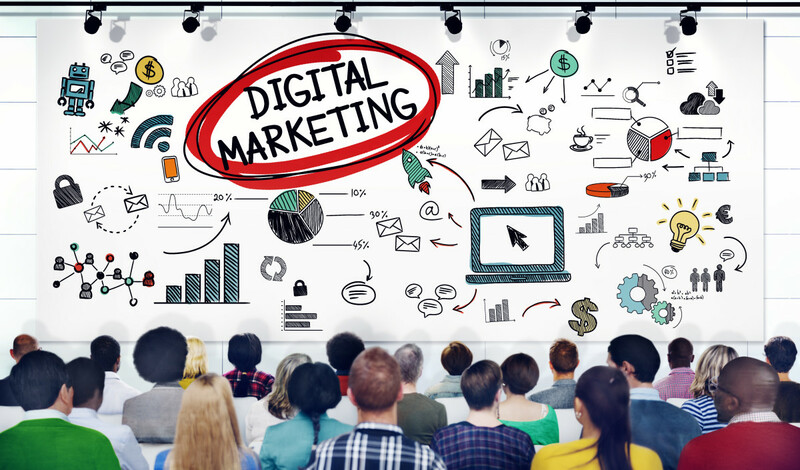 There’s a valuable insight here: don’t let the future of your company depend on the flip of a coin, get a grip on your digital marketing strategy now! The truth is that if you’re not promoting your business online, you’re missing out. Don’t trust us? Then trust founder and CTO of WordStream Larry Kim. As Kim puts it, it has never been more important than now to take advantage of the full spectrum of advertizing options social media platforms have to offer and make these options an integral part of your digital marketing strategy. Unfortunately, managing your online presence requires the right knowledge and expertise– and these are not always easy and quick to acquire. Luckily, we have some tips that might just point you in the right direction. At TNW Academy, we’re on a mission to bring you the best courses and opportunities to get yourself ahead in your life. Hand-picked with special attention to quality, we have three courses that will give you a shortcut to a successful online presence. Taught by entrepreneur and online instructor Mark O’Brien,Facebook Ads & Marketing Mastery Guide walks you through the insides and outs of Facebook advertising and conversion optimization. Whether you’re a beginner looking to implement Facebook in your promotional efforts or a professional considering revamping your Facebook marketing strategy, this course will offer you the insights to keep a step ahead of your competition. Designed to teach you how to run cost-effective pay-per-click campaigns that consistently produce impressive sales numbers as well as a healthy list of leads, the Google AdWords for Beginners course will not only make you a hot prospect on the job market, but also help you take your business to the next level. A savvy and experienced digital marketer, our instructor Corey Rabazinski will guide you through the process of setting up and managing successful AdWords campaigns, and also introduce you to a few tricks that will give you a better understanding of how to target your desired customers. Oh, and you’ll also get a free copy of Rabazinski’s eBook Google AdWords for Beginners when you sign up for the course! Brought to you by international speaker, author and digital consultant Chris Perks, the course Twitter Ads For Business Agencies & Entrepreneurs will equip you with all the knowledge and skills you need to get a jumpstart in Twitter advertizing. In over three hours of video tutorials accompanied by a carefully selected list of recommended readings, Perks shares his advice on how you can increase sales and decrease costs of your Twitter Ads campaigns. Interested in other ways to improve yourself or your business? Stay tuned for more premium online courses from TNW Academy or sign up for our newsletter and we will keep you posted. ➤ Sign up for the TNW Academy Newsletter!